I recently visited my new favourite city in the form of Leeds, it’s such a friendly place to stay and it’s full of inspiring coffee shops, restaurants and independent businesses – I absolutely love it. 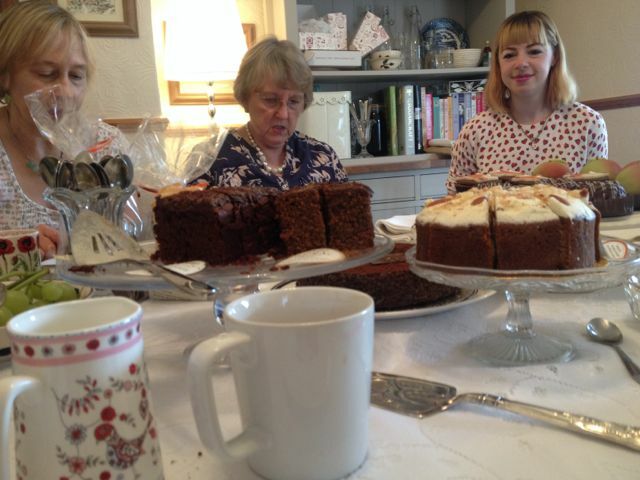 As a long-serving member of The Clandestine Cake Club, I’ve visited the Leeds Cake Club events a handful of times over the last few years and made some fabulous friends through this welcoming club over a few cups of Yorkshire Tea & a wedge of cake…or two, even three! If you don’t know what The CCC is, then where on earth have you been?! It’s a national (in fact, now international) club, with one in many towns across the country. 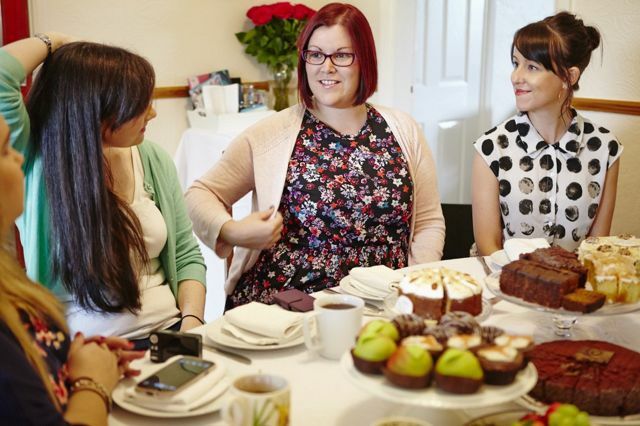 You simply find your local event, join the club, bake a cake, visit the agreed venues at the scheduled times and share cake, talk about cake… generally geek out about baking and other such topics with your fellow cakey enthusiasts. It provides you with a superb social life and any old excuse to get your bake on, should you need an excuse! 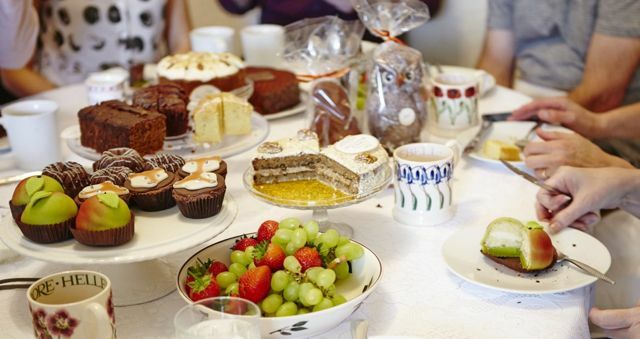 Lynn Hill, creator of the CCC invited a select few to a very special afternoon tea at her HQ (her gorgeous dining room table, adorned with Yorkshire Tea and teacups aplenty to match the cakes on offer on this special day) to trial the new Bettys Autumn Collection. I joined her lovely daughter, another Joanne (my real name if you didn’t guess by now!) and her boyfriend for a cuppa and some travel talk beforehand at the hotel I was staying in, so it was a very leisurely day all round, perfect! My fellow guests (we were also joined by the gorgeous Kayti Peschke who owns a vintage ice cream van and took some stunning photos on the day) and I all got our geek on, we nattered about cakes (and Bettys, naturally!) 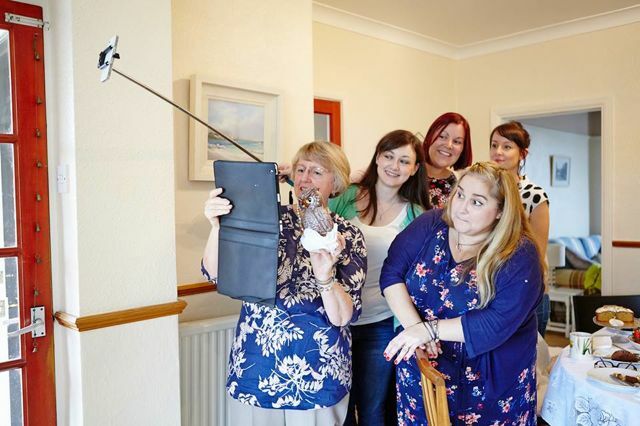 and even took some “selfies” with my new selfish stick… it was a great afternoon, such a laugh – this is why I love these guys so much! 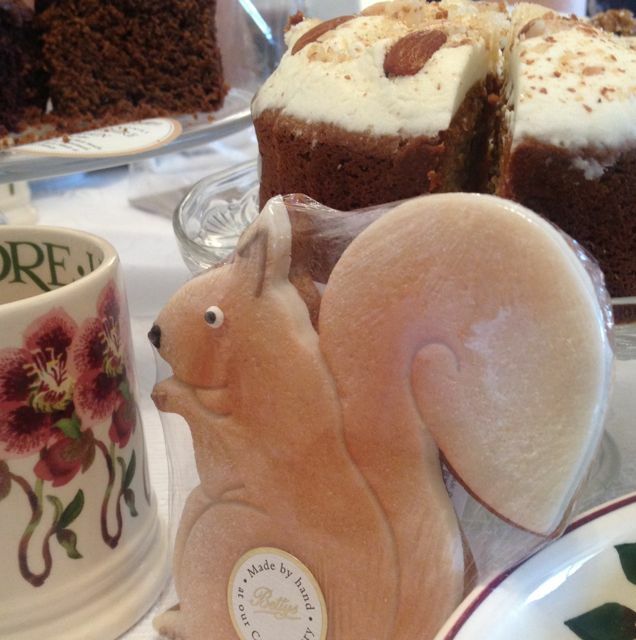 The new Autumn Collection at Bettys includes a Lebkuchen squirrel biscuit, Yorkshire Gingerbread, Cantucci biscuits, even milk chocolate ganache mice-shaped fancies. There’s a huge selection to choose from and even birthday celebration cake options for a seasonal birthday, should you need one. This new collection is on offer for a short while on the build up to Christmas, where it will then be all change and ready for a more festive collection… It might be rude not to head over there in a short while to try the next selection – ahem. All of the Bettys biscuits, cakes & chocolates are handmade at their Craft Bakery in Harrogate and you can just tell even at simply the design and look of each cake and treat, so much thought and love goes into each and every one of them. 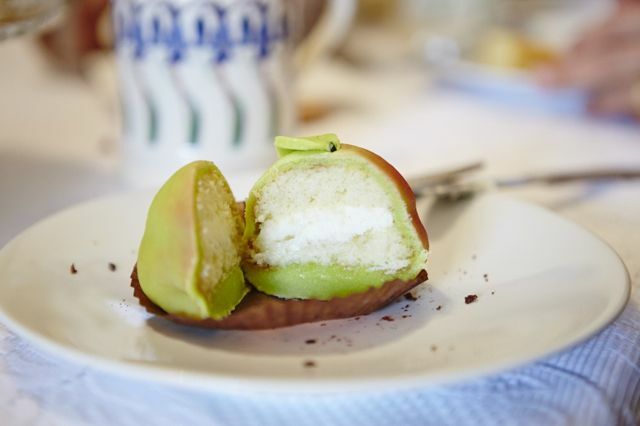 These are beautiful “princess cake” style treats, with a Genoese sponge, filled with vanilla buttercream and covered in a marzipan casing. These were my favourite, like a mini Bundt cake, these chocolate & hazelnut cakes coated in an almost crisp Grand Cru milk chocolate frosting – truly delicious and genuinely melts in your mouth. This was a dark and dense chocolate loaf cake with an equally dark ganache topping, it would be perfect with a coffee and you really didn’t need much, it was a much heavier slice than it looked! Not my most favourite, but still a distinctive flavour of black treacle mixed with a hint of ginger (I’m not a ginger fan)… so the Stem Ginger Cake, although it looked stunning had to be the slice I passed on for this event. These were hefty little blighters, a deep chocolate brownie base, topped with buttercream, marzipan and royal icing… these had to be sliced into quarters and shared for a naughty nibble. I must say I didn’t realise this was lime, I thought it was simply a lemon drizzle, so the lime doesn’t come through as strong as perhaps you would expect. It was so light and moist, a slice to yourself is easily on the cards, just beautiful. 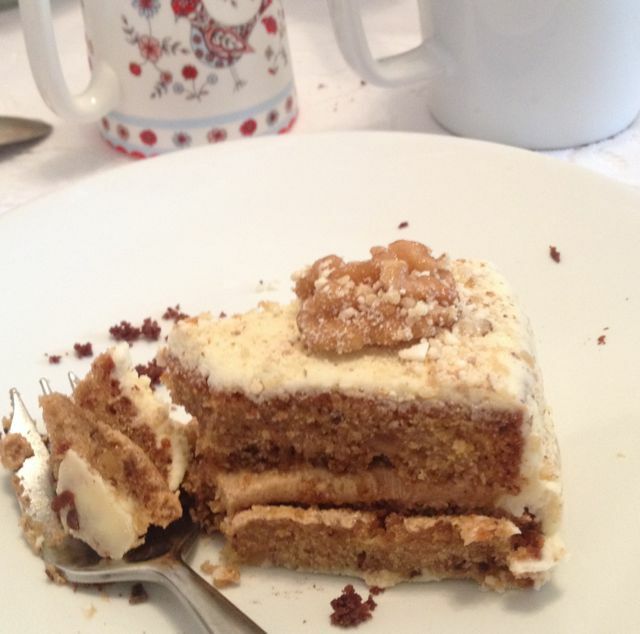 This had a surprisingly crisp Praline base, it was amazing! Every bite was rich, creamy, crunchy and moreish… a firm favourite around the table. 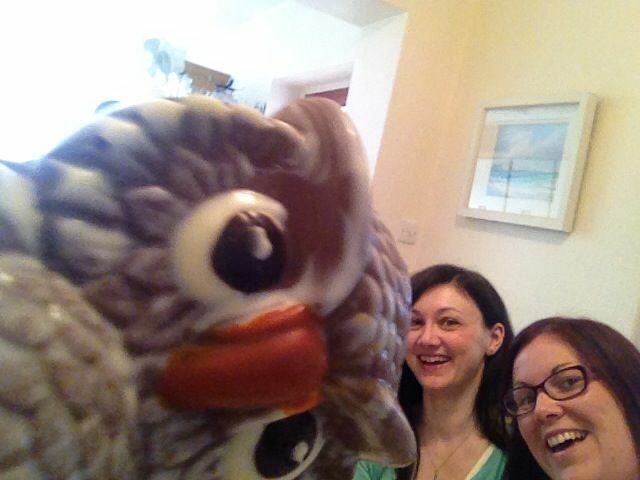 And don’t forget the Swiss milk chocolate owl – twit twoooo! You can check out the entire Autumn Collection here. This includes the gorgeous Bettys tea caddy, of which I own myself from a previous visit and it makes the perfect jewellery box, putting a smile on my face each and every day – I love this brand, it makes me proud to be a British cake lover. 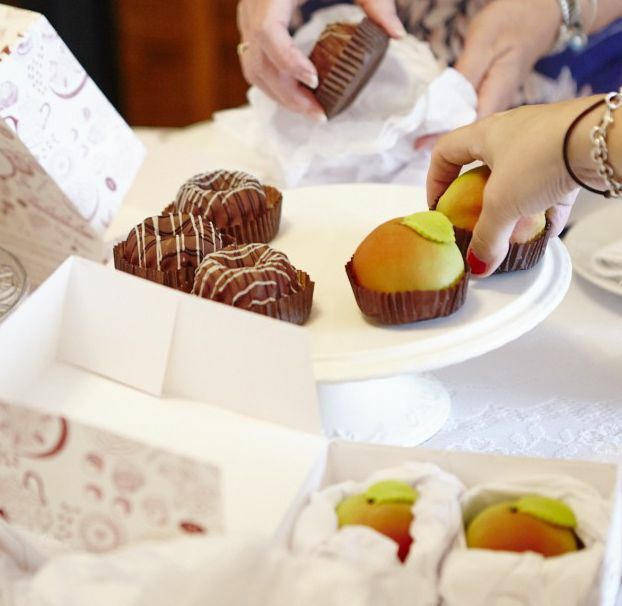 What’s your favourite Bettys treat? Have you tried their full on afternoon tea or do you like to order a fat rascal to enjoy with a cuppa and a good book? I’d love to hear your thoughts below!